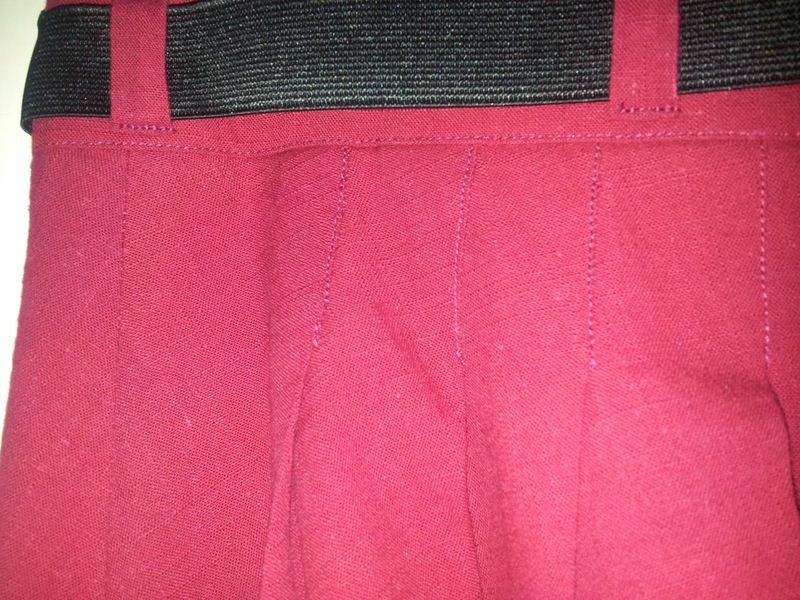 I made this skirt for my bezzer mate as a gift for Christmas. Now that she has this gift I can post it! This is the first time that I have made anything for anyone else and as you can imagine I was so nervous as I passed the wrapped, final product to her. This pattern was so simple that I knew it would work as a gift and have a reasonable chance of fitting. You only need your waist size to make it, what could be simpler? I really sailed through this one. 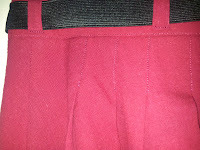 Even though I took my time as I wanted to get it right (and I only had just enough of the fabric to make it once!). 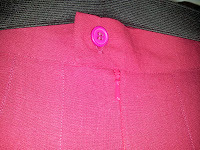 The fabric that I used was a Linen Cotton/Poly blend from Minerva. I went for the blend as I thought it would be easier to care for than 100% cotton. The only hiccup that I encountered was that the skirt was too big for the waistband. 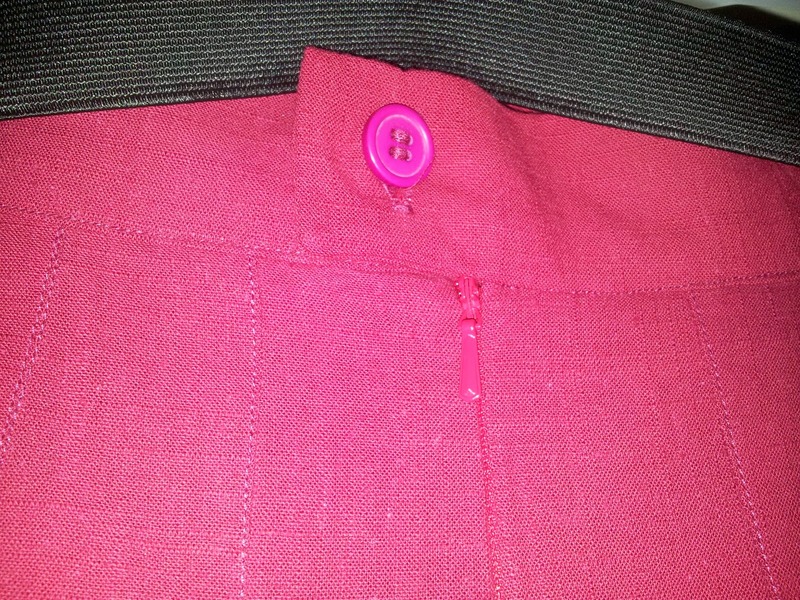 However, I remedied this by putting in some extra pleats. 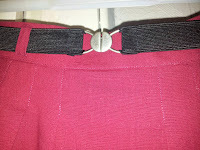 I also made this small elasticated belt to go with it. I wanted to buy one, but I couldn't find anything appropriate in the shops. 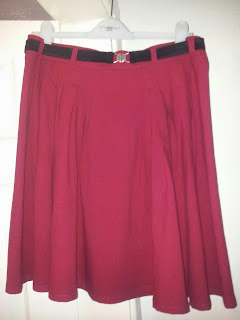 I like this skirt so much, that I think I'll have to make myself one in the not too distant future! It was a dream to sew and honestly it looks better in real life than my photos!